Sometimes when you work at a small museum, you participate in projects which may not seem to relate to your job description. 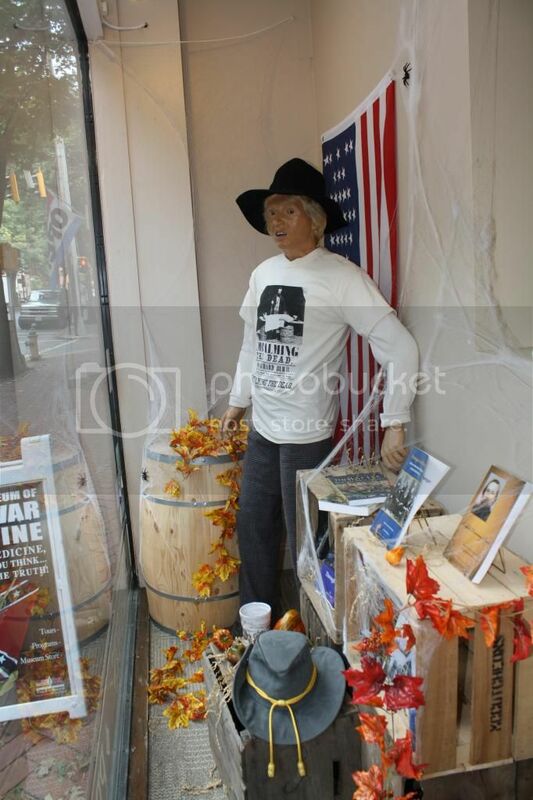 Recently, plans were made to add some Halloween-themed items to the NMCWM’s front window. 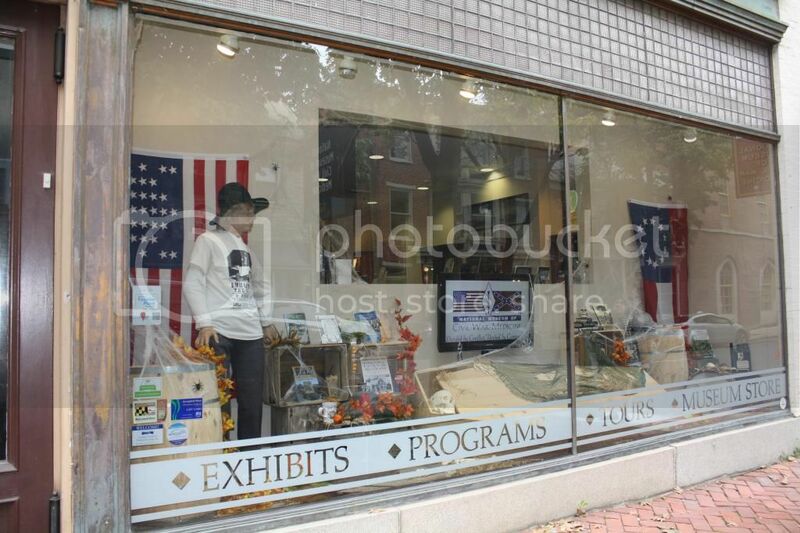 There are no artifacts displayed in the window though (I wouldn’t put any there in all that direct sunlight! ), so at first this didn’t sound like a very curatorial duty. It became one as soon as one of the museum’s mannequins was involved though. 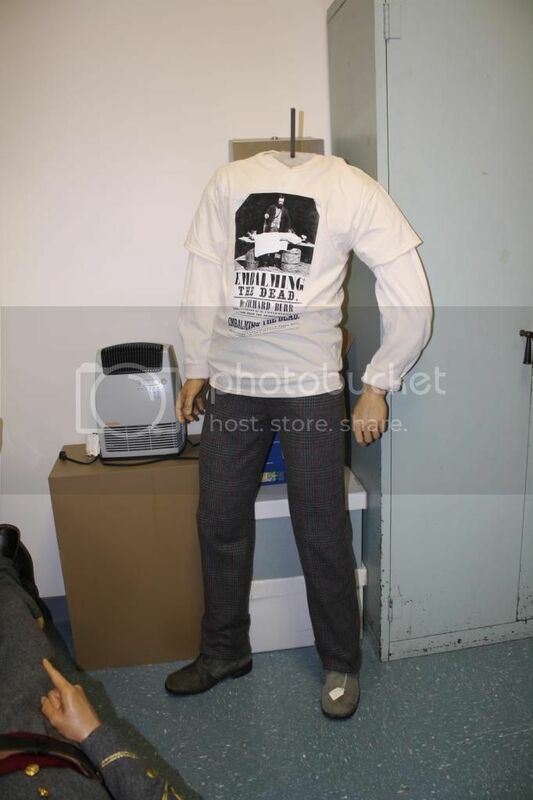 Technically, I am also the guardian of the museum’s mannequins! 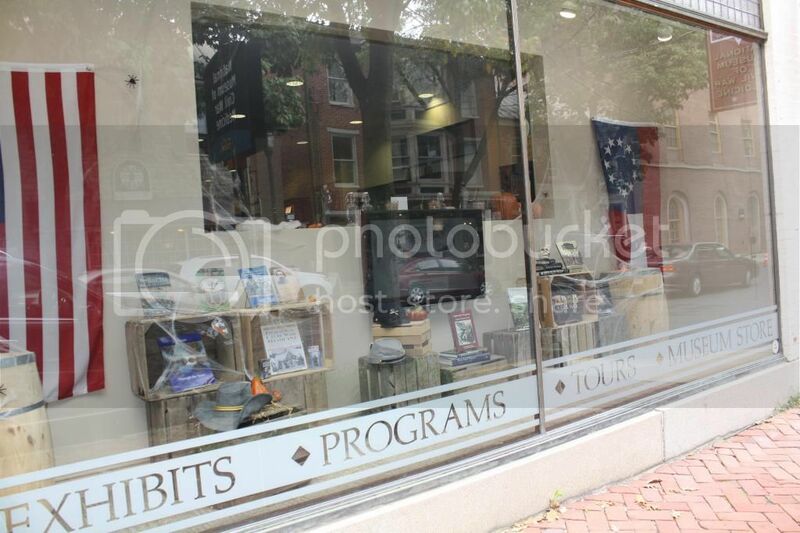 The previous store window showed a variety of items available for sale in the museum’s Dispensary Store. The video display in the center shows some Civil War medical scenes as well as images from the museum to help catch the interest of potential museum visitors. It was a nice display, but it needed a little something extra for the season. Normally we don’t have any spare mannequins, but these guys were recently relieved of their duties in our Recruiting gallery. You can see what replaced them here: http://guardianoftheartifacts.blogspot.com/2013/10/how-would-you-measure-up.html. 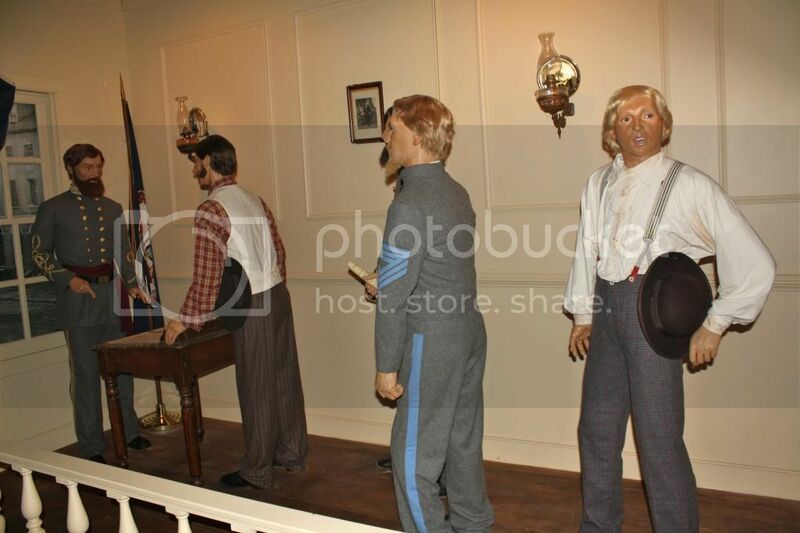 While we have since re-purposed some of them, that slightly creepy-looking guy at the end of the line was still in storage. He seemed perfect for the part we had in mind! Emily was in charge of the window design, and here she makes some adjustments to our newest T-shirt model. He definitely adds to the Halloween décor, but it seems like something is missing. 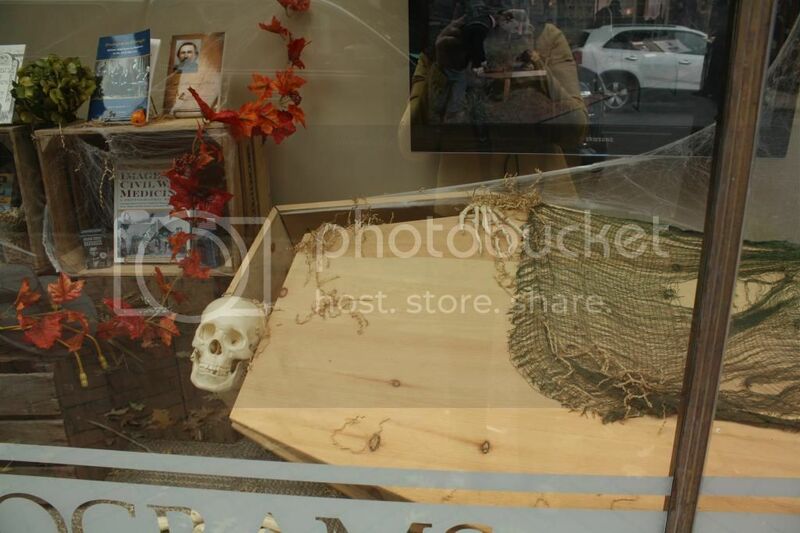 Nothing says “Halloween” quite like a coffin and skeleton. And don’t worry, that ghostly image of a curator with a camera hovering over the coffin isn’t really part of the display! Here’s our new window display – I hope our visitors enjoy it!